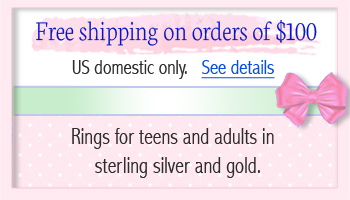 Quality rings for teens in sterling silver or gold. 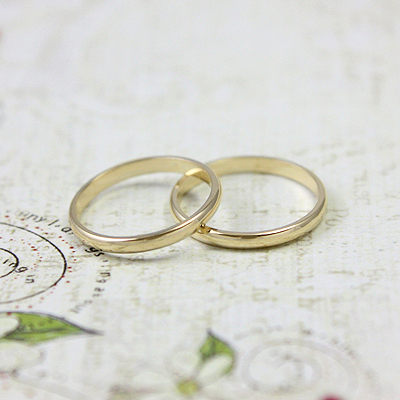 Choose a simple knuckle ring in yellow or white gold, a gorgeous birthstone ring, or a classy signet ring. Our beautiful selection of rings for teens offers many styles to choose from. 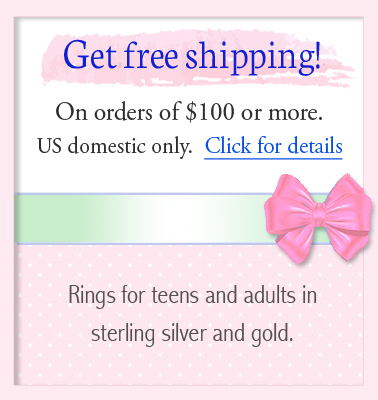 All of our rings come beautifully packaged and make great gifts for teenage girls or preteens! 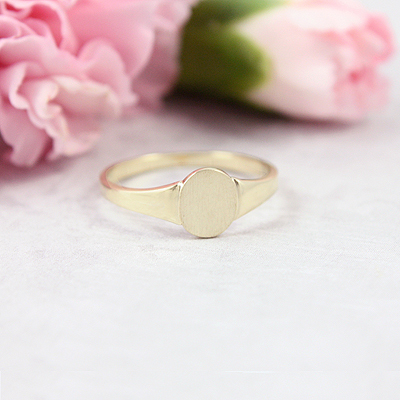 A fine quality, classic signet ring in 10kt yellow gold for moms and teens. Engraving included. Size 6. 10kt gold oval signet ring with brushed signet front and decorative border. Size 6. A popular choice for teens! 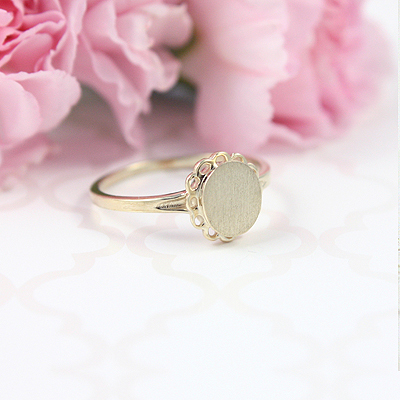 14kt gold smooth polished knuckle rings. Available in 5 sizes. 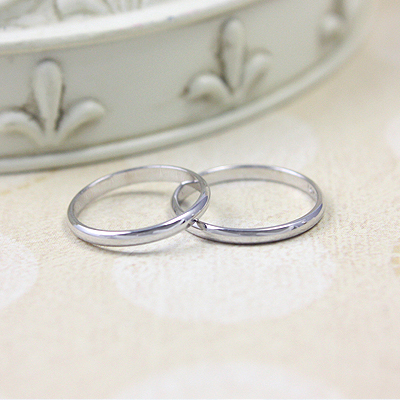 The popular knuckle rings in 14kt White gold with smooth polished band. Available in 5 sizes. 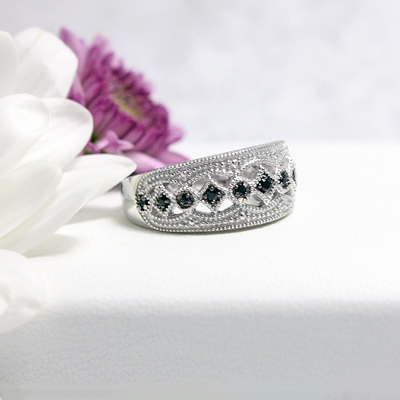 Tuscany inspired sterling ring with genuine black spinels. Finely crafted design. Sizes 6 and 7. 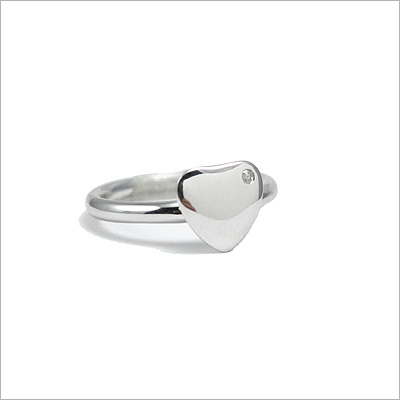 Heart shaped sterling signet ring. Engrave a monogram, initials or a single letter. Sizes 6 and 7. 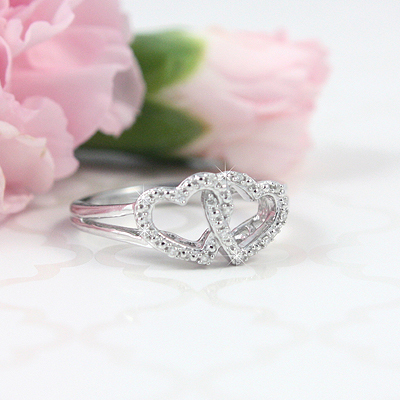 Double diamond heart ring set with genuine diamonds, polished sterling silver. 3 sizes available. 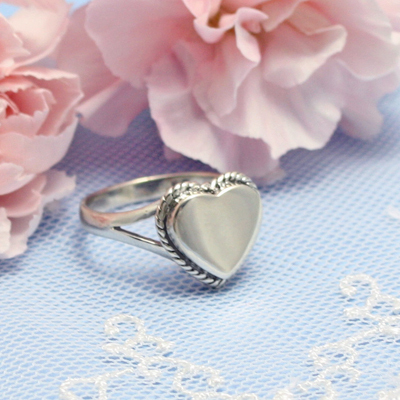 Sterling silver diamond heart ring for teen or adult. Engravable with one initial. Sizes 5, 6 and 7. 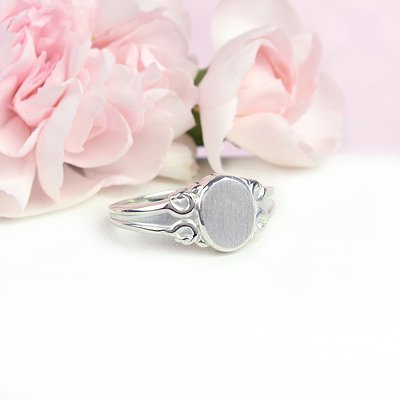 Sterling signet ring for girls with an oval brushed front and scroll work. Engraving included. 6 sizes. 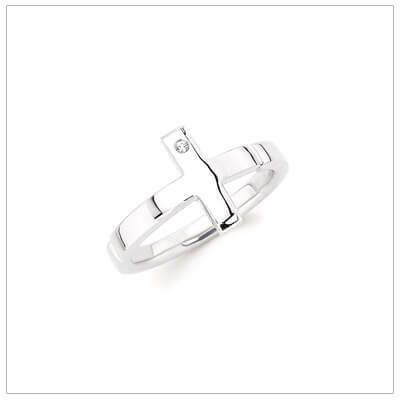 Sterling silver band ring for teens and tweens. 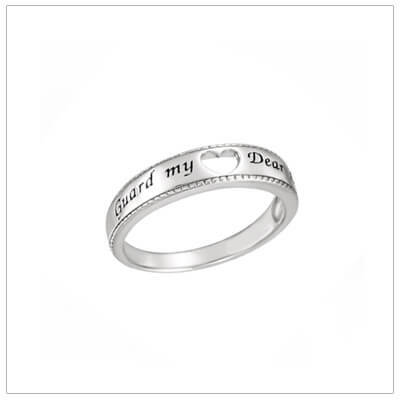 Stamped Guard My "Heart" Dear Lord. Sizes 5, 6. 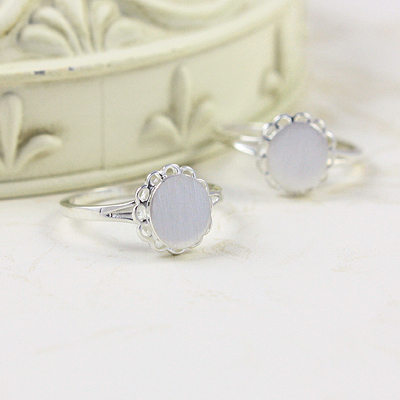 Gorgeous sterling signet ring for girls with an oval front and scroll work. Engraving included. 4 sizes. 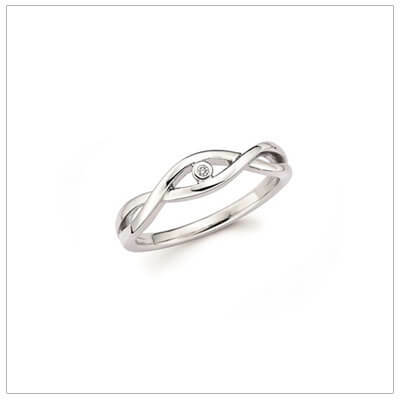 Sterling silver diamond ring with a crossover design for girls. Genuine diamond. Size 5. 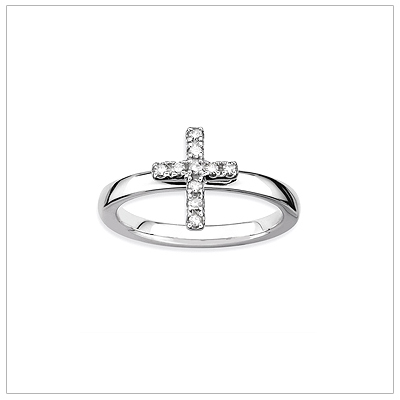 Sparkling diamond Cross ring for girls in polished sterling silver. Available in 3 sizes. 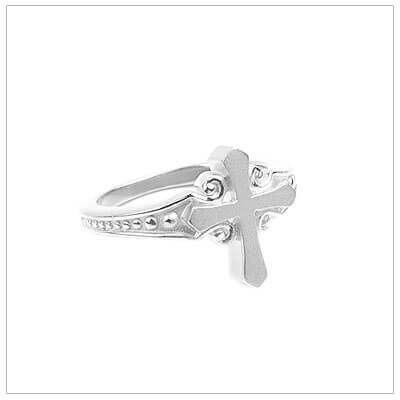 A bright polished sterling sideways Cross ring set with a genuine diamond. Preteen -teens, 3 sizes. Sterling silver birthstone ring with two side hearts and genuine oval garnet. January. 3 sizes. 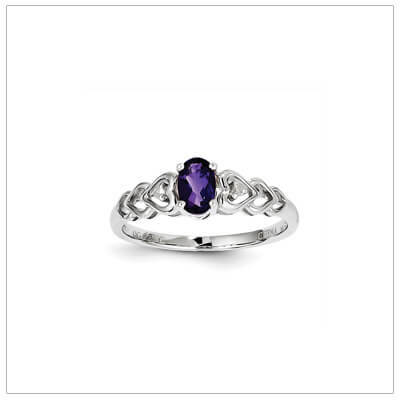 Sterling silver birthstone ring with two side hearts and genuine oval amethyst. February. 3 sizes. 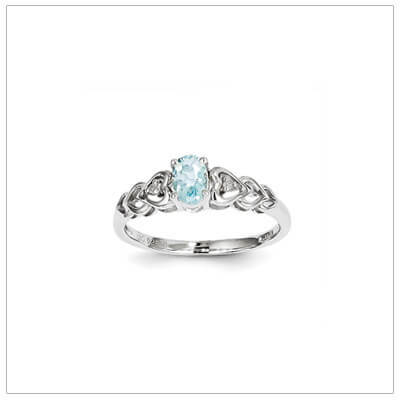 Sterling silver birthstone ring with two side hearts and genuine oval aquamarine. March. 3 sizes. 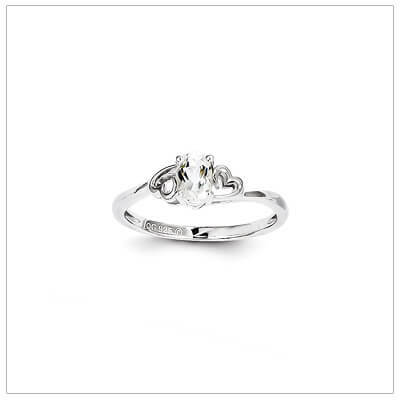 Sterling silver birthstone ring with two side hearts and genuine white topaz. April. 3 sizes. Sterling silver birthstone ring with two side hearts and created emerald. May. 3 sizes. 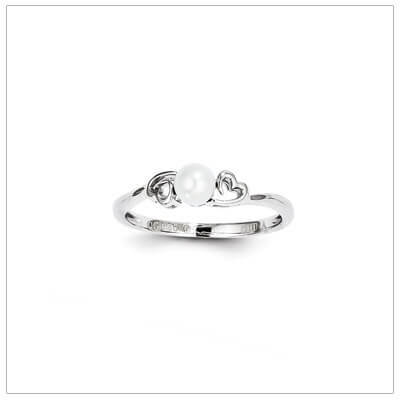 Sterling silver birthstone ring with two side hearts and a cultured pearl. June. 3 sizes. 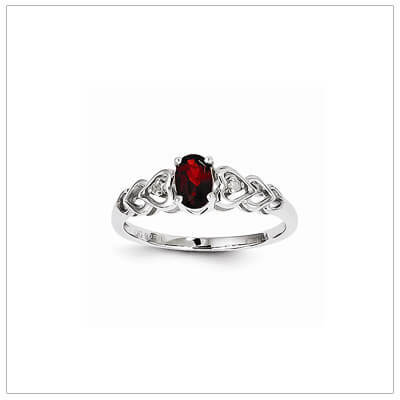 Sterling silver birthstone ring with two side hearts and created ruby. July. 3 sizes. Sterling silver birthstone ring with two side hearts and genuine peridot. August. 3 sizes. Sterling silver birthstone ring with two side hearts and created sapphire. September. 3 sizes. 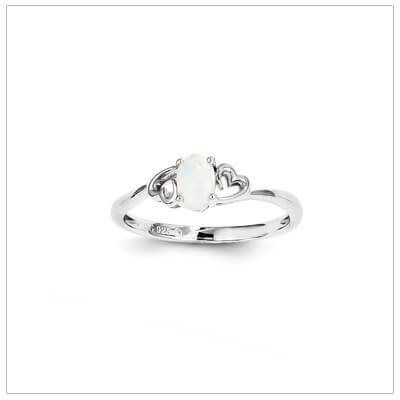 Sterling silver birthstone ring with two side hearts and created opal. October. 3 sizes. 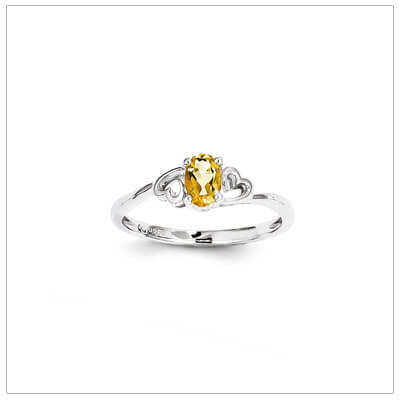 Sterling silver birthstone ring with two side hearts and genuine citrine. November. 3 sizes. 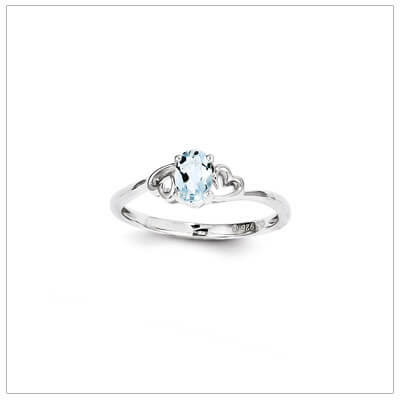 Sterling silver birthstone ring with two side hearts and genuine blue topaz. December. 3 sizes. 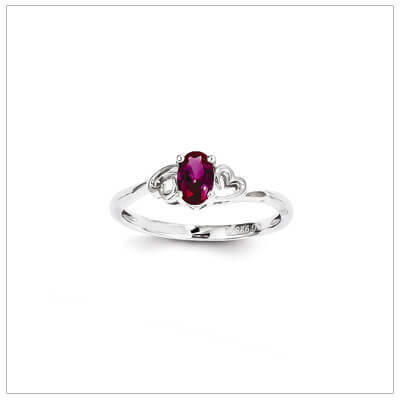 Beautiful oval January birthstone ring with 2 genuine diamonds set in connecting hearts. 3 sizes. 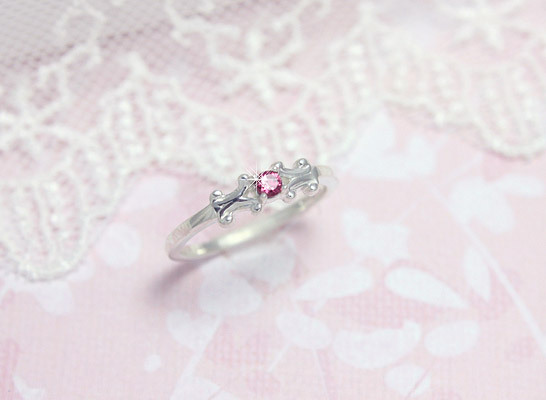 February oval birthstone ring with 2 genuine diamonds set in connecting hearts. 3 sizes. March oval birthstone ring with 2 genuine diamonds set in connecting hearts. 3 sizes.